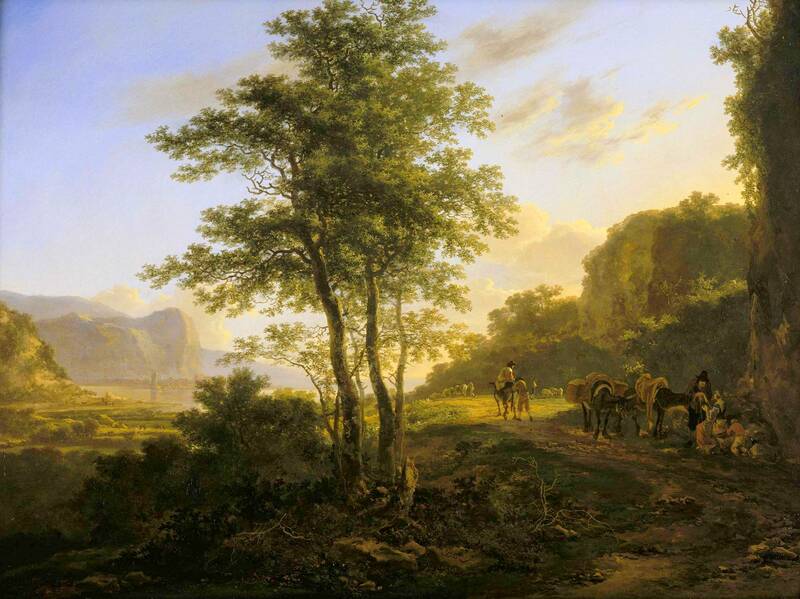 Jacob van Ruisdael – Johnny van Haeften Old Master Paintings. Title: A Wooded River Landscape with Figures crossing a Bridge. Date: c. 1660-1664. Materials: oil on on canvas. Dimensions: 60.9 x 75.4 cm. Inscriptions: JvRuisdael (JvR linked) (lower right). 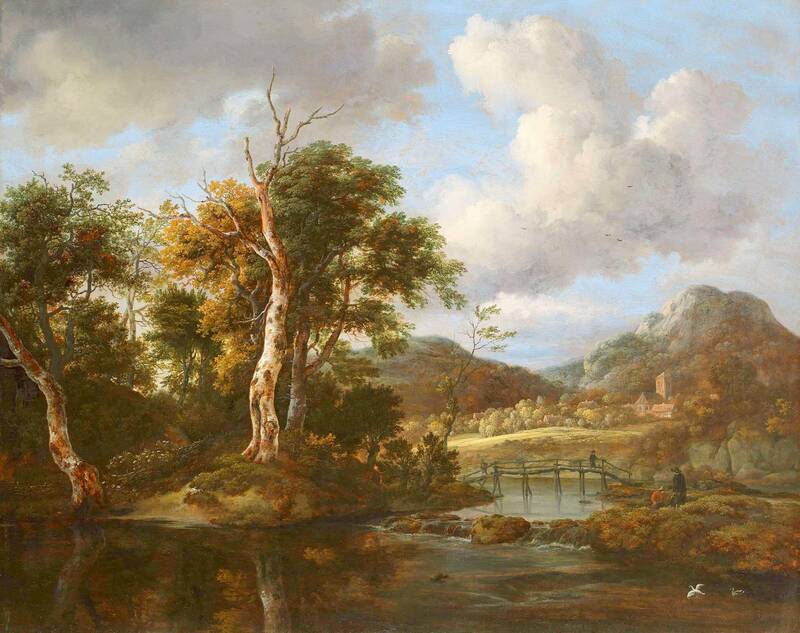 Source: http://johnnyvanhaeften.com/media/blog/RUISDAEL-VP4779-wooded-river-landscape.jpg/0/0/3. I have changed the light and contrast of the original photo.